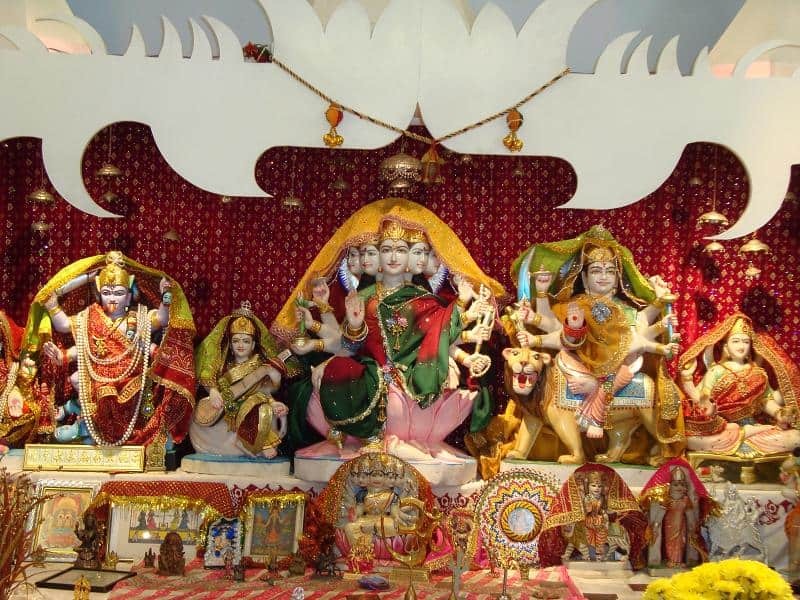 Shree Shakti Mandir Middlesex has been established since 1972 as a small mandir in Wembley in London where they celebrate all festivals and events of the hindu calendar. They perform pooja on individual basis as well as weddings, kathas, havan, etc at your place or here. They have the capacity of approx. 150 people. They perform Hindu ceremonies based on Shukla Paksh Vedic Sanatan Dharma pertaining to the Northern Culture of India. However, You are welcome bring your own priest to perform any ceremonies based on your beliefs such as the Krishna Paksh rituals perfomed in the Southern part of India. 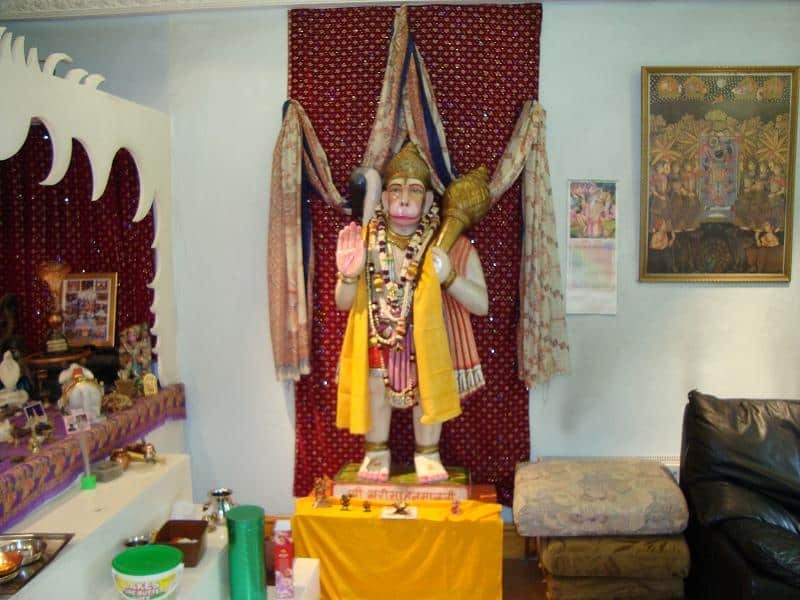 Shree Shakti Mandir has been established since 1972 as a small mandir in Wembley in London where we celebrate all festivals and events of the Hindu calendar. We perform pooja on individual basis as well as weddings, Katha, havan, etc at your place or here. We have the capacity of approx. 150 people. We perform Hindu ceremonies based on Shukla Paksha Vedic Sanatan Dharma pertaining to the Northern Culture of India. However, You are welcome to bring your own priest to perform any ceremonies based on your beliefs such as the Krishna Paksha rituals performed in the Southern part of India. My father was a Hindu Priest for all his life and this is the second/third generation of our clients that I am privileged to serve now. Most of them are Gujarati formally of East Africa however at present, we have clients from Hindu, Punjabi, Sikh, Tamil, some of Mauritian Fijian origin. In short we serve the Multicultural society of Great Britain around London. 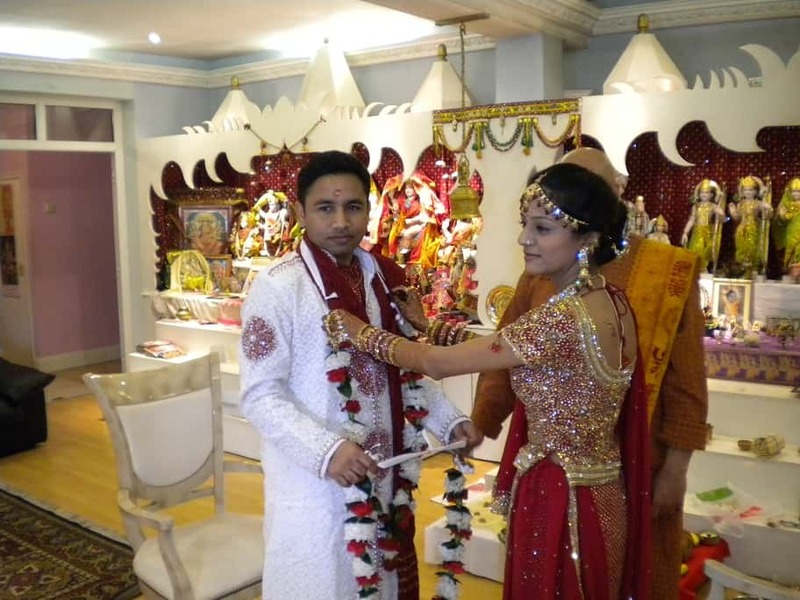 We can explain our ceremonies thoroughly in English, Gujarati, and Hindi and are accustom to keeping a large crowd captive during our ceremonies. We advice on all expects of Hindu religion to any one who is interested free of charge. 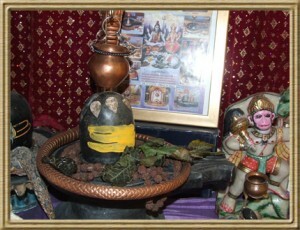 We sit down with our clients at great length to ensure that all ceremonies are performed properly and as per our clients needs as well as the requirements,but however would like you to have the courtesy to offer something to the shrine, as a norm you should not go empty handed when you visit a Brahman.SHREE SHAKTI MANDIR started on the Maha Shivaratri 1972 by the Rudra Abhishek and a Bhajan program, ever since we have done all the poojas, wedding, rituals and rites for every one not just the Hindu communities. 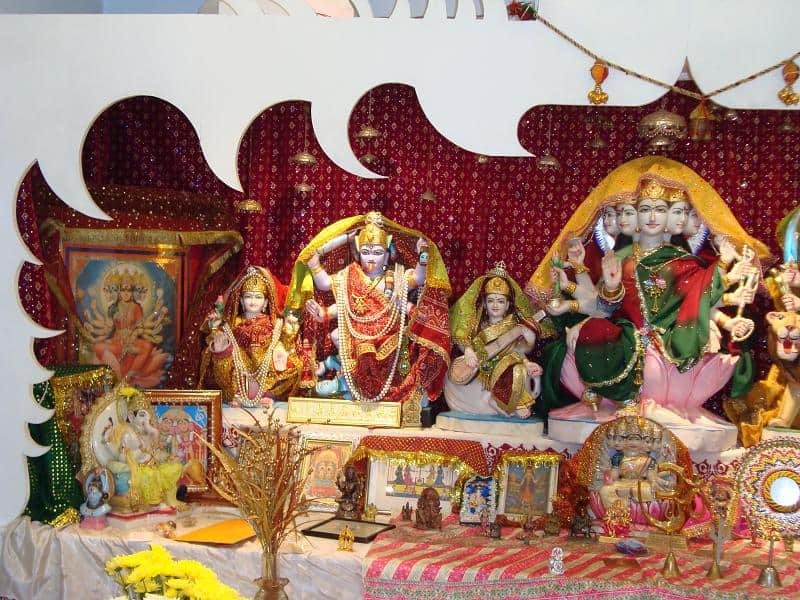 has been established since 1972 as a small mandir in Wembley in London where they celebrate all festivals and events of the Hindu calendar. They perform pooja on individual basis as well as weddings, Katha, havan, etc at your place or here. They have the capacity of approx. 150 people. They perform Hindu ceremonies based on Shukla Paksha Vedic Sanatan Dharma pertaining to the Northern Culture of India. However, You are welcome to bring your own priest to perform any ceremonies based on your beliefs such as the Krishna Paksha rituals performed in the Southern part of India. My father was a Hindu Priest for all his life and this is the second/third generation of our clients that I am privileged to serve now. Most of them are Gujarati formally of East Africa however at present, They have clients from Hindu, Punjabi, Sikh, Tamil, some of Mauritian Fijian origin. In short we serve the Multicultural society of Great Britain around London. We can explain our ceremonies thoroughly in English, Gujarati, and Hindi and are accustom to keeping a large crowd captive during our ceremonies. They advice on all expects of Hindu religion to any one who is interested free of charge. They sit down with our clients at great length to ensure that all ceremonies are performed properly and as per our clients needs as well as the requirements,but however would like you to have the courtesy to offer something to the shrine, as a norm you should not go empty handed when you visit a Brahman.SHREE SHAKTI MANDIR started on the Maha Shivaratri 1972 by the Rudra Abhishek and a Bhajan program, ever since we have done all the poojas, wedding, rituals and rites for every one not just the Hindu communities. 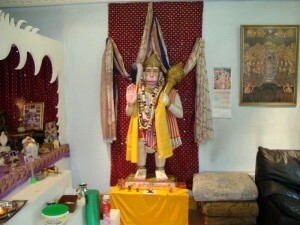 hree Shakti Mandir has been established since 1972 as a small mandir in Wembley in London where they celebrate all festivals and events of the Hindu calendar. 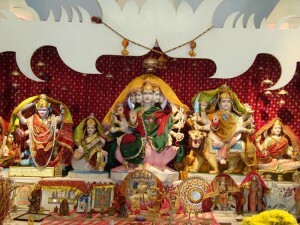 They perform pooja on individual basis as well as weddings, Katha, havan, etc at your place or here. They have the capacity of approx. 150 people. They perform Hindu ceremonies based on Shukla Paksha Vedic Sanatan Dharma pertaining to the Northern Culture of India. However, You are welcome to bring your own priest to perform any ceremonies based on your beliefs such as the Krishna Paksha rituals performed in the Southern part of India.